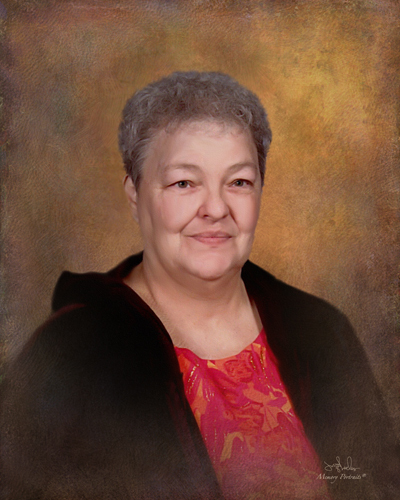 Cherry Johnetta Robb, 73, of Princeton passed away Sunday, March 17, 2019 at Linda E. White Hospice House in Evansville. She was born August 23, 1945 in Princeton to Charles Lewis and Violet (Mason) Lewis. She married Carl E. “Buck” Robb on March 27, 1963 in Princeton and he preceded her in death on February 18, 2010. Johnetta was a member of Columbia General Baptist Church and TOPS. She spent her working life in the health care industry. She was a caring Certified Nurse’s Assistant for about 50 years working for Forest Del, Holiday Manor, and Gibson General Hospital on the 5th Floor. She loved spending time with her family, especially her grandchildren. She enjoyed watching the Game Show Network and will be missed by all who knew and loved her. Johnetta is survived by her children, Kimberly Robb-Anderson (Anthony) of Owensboro, Kentucky and Pamela Weist (Kevin) of Mount Olympus; grandchildren, Brittani Weist and her fiancé, Jace Purcell and Matthew Weist; her beloved dog who was treated as her own child, Rascal; numerous nieces, nephews, and cousins; siblings, Iris Wilkerson (Dennis) of Harvest, Alabama, Marcella Robb (Kenny) of Vero Beach, Florida, Charlotte Naas (Clarence) of Princeton, Phillip Lewis of Edwardsport, and Jeannie Gladish (Roger) of Princeton; and in-laws, Carolyn Downs of Princeton, Kathy Schmidt of Hebron, Kentucky, James Robb of Dale, Indiana and many other sisters and brothers in law. She was preceded in death by her parents; husband; brother, Clarence Lewis; and mother-in-law, Olive Hale. A funeral service will be held at 10:00 AM Saturday, March 23, 2019 at Colvin Funeral Home in Princeton officiated by Reverend Ron Marsh. Burial will follow at Columbia White Church Cemetery in Princeton. Visitation will be held from 4 until 8:00 PM Friday, March 22, 2018 at the funeral home. Colvin Funeral home is honored to serve the Robb family. Memorial contributions may be made to Columbia General Baptist Church. Envelopes will be available at the funeral home. You may leave a message of sympathy or light a candle in memory of Johnetta at www.colvinfuneralhome.com.